As of Restrict Content Pro version 2.9, you can use one setting to restrict an entire post type. This option is perfect if you want to apply the same restriction settings to every post in a post type. 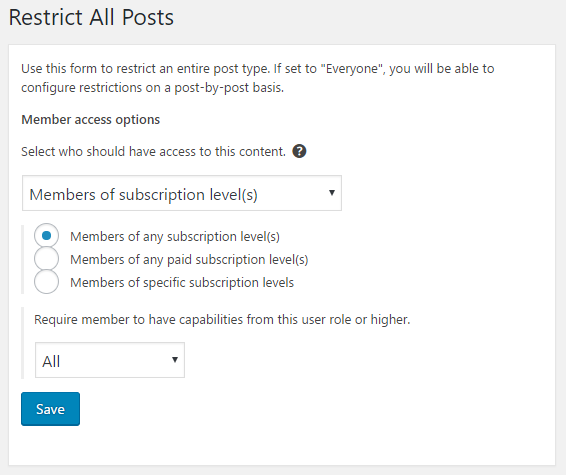 If you only want to restrict some posts, or use different restriction settings for each post, we'd recommend using our individual post or category methods instead. 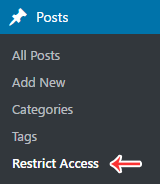 Every post type supported by Restrict Content Pro has a new submenu item called "Restrict Access". Clicking this menu item will take you to a page with a very familiar meta box. The interface for restricting a post type is just like the meta box for restricting an individual post. If the access is set to "Everyone", then the post type will be unrestricted by default, but you will be able to override this on individual posts like normal. 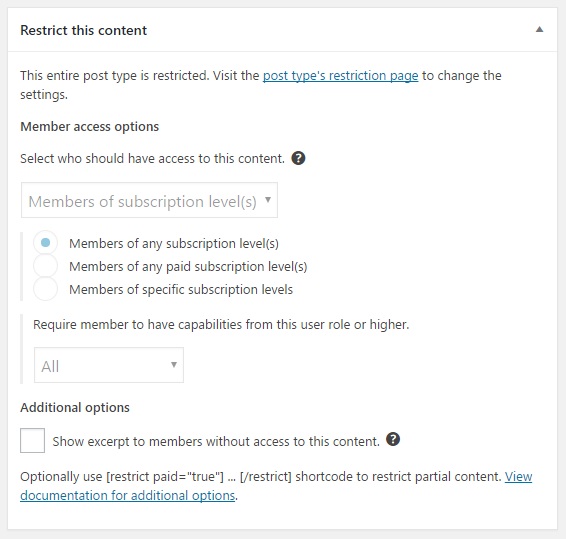 If you have post type restrictions set, then the meta box on the "Edit Post" page will become disabled. You'll be able to see your global post type restrictions, but you won't be able to override them.